This blanket is truly vintage. Now this is a secret but I KNOW it to be truly vintage because it was bought for me when I was a baby and I am vintage! Don’t tell anyone. This blanket has kept me warm during Measels, Mumps and a Tonsilectomy. It has helped me through childhood illnesses and now is used in my Campervan AKA Damnvan1. I just adore the fact that my Mum repaired it many years ago and it’s still going strong. I covered my kids with it and still snuggle under in times of need and it was always called a Travel blanket. 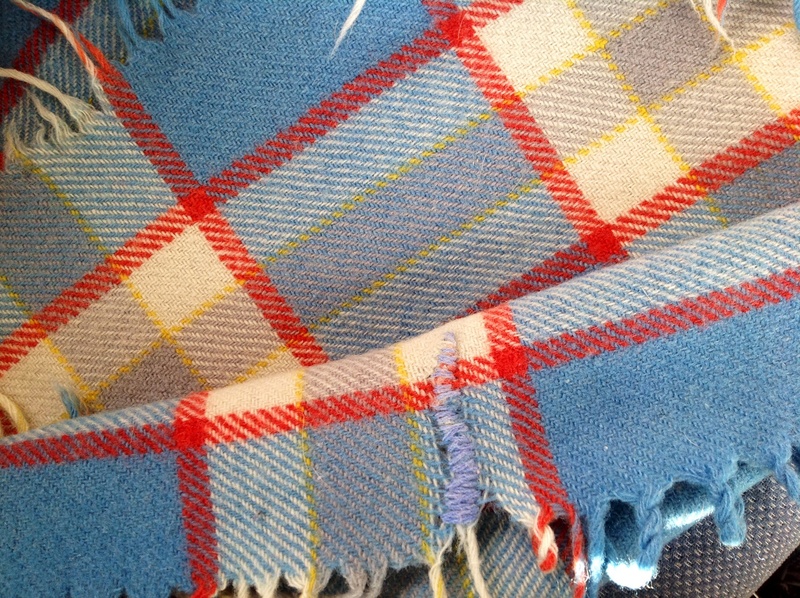 I wonder how many modern blankets will make “vintage”? I use these plastic see through bags as storage when home and away. I use them to store, carry small craft projects, plugs and electrical accessories, tent pegs and even sometimes what they are intended for, toiletries and make-up! They are perfect as you can see what is in them. They zip shut. They come in varying sizes but often three in a pack. I buy them from Marks and Spencer and Aldi but I’m sure the they can be found in many retail places. Oh and they are cheap, squashy and light weight. Now how’s that for an advertisement? Sometimes you just stumble across a really good idea. Well dear friends some of you may remember that theTour de France 2014 started in Yorkshire, England. I’m not sure why or how to be honest, but Yorkshire sure made the most of the short lived fame! All along the route there are still flags,bunting and bicycles. The cycles have been dressed,painted,hung from walls, and placed in shop windows, roadside verges and anywhere else they could think of. Most of the bikes are painted yellow but today I stumbled across the best that I have seen. 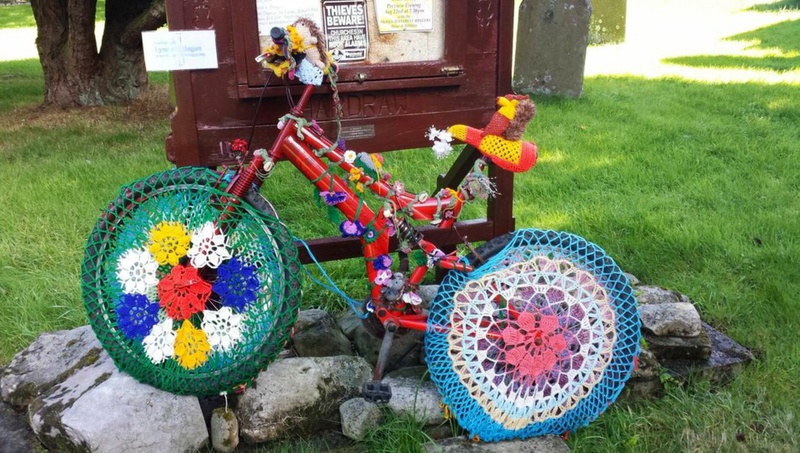 This particular bike was in the church graveyard in the tiny village of Hardraw near Hawes North Yorkshire. It had been covered in crochet. 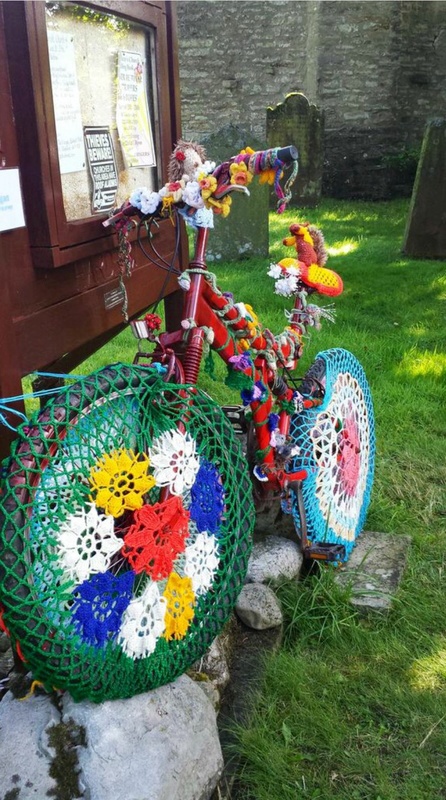 There were tiny mice,daffodils, hedgehogs, leaves and a multitude of other country artifacts all lovingly crocheted in multi coloured yarns. The work that it had taken was huge and very impressive. It was leaning on the church notice board in the graveyard. I particularly like the fact that it rests amongst very old tomb stones in such a peaceful location. 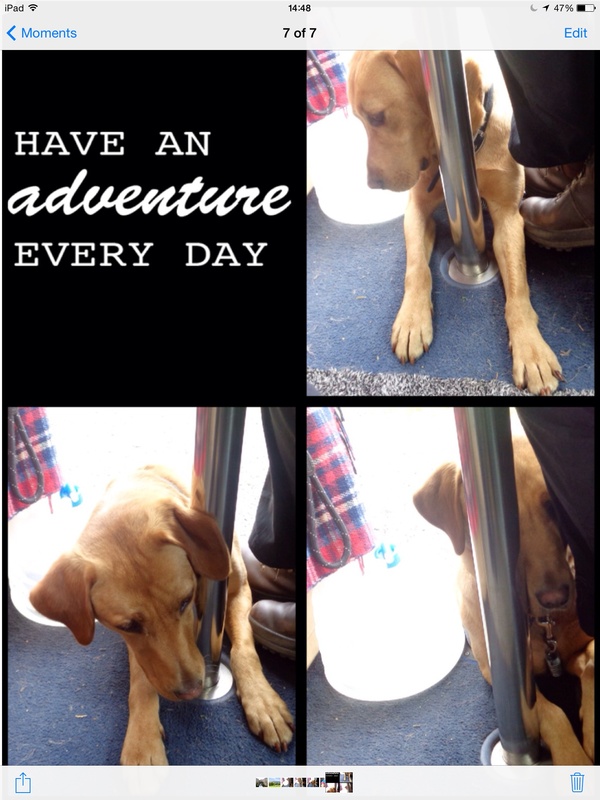 You would think that Benji dog would realise he can’t get any further into the camper van because he has a lead on! Oh no! He just keeps right on trying. He actually only wants to be with us. That is after he’s been walked and fed. We are having a chill out break in Hawes. Shall we just say rest and recouperation after a hectic summer. 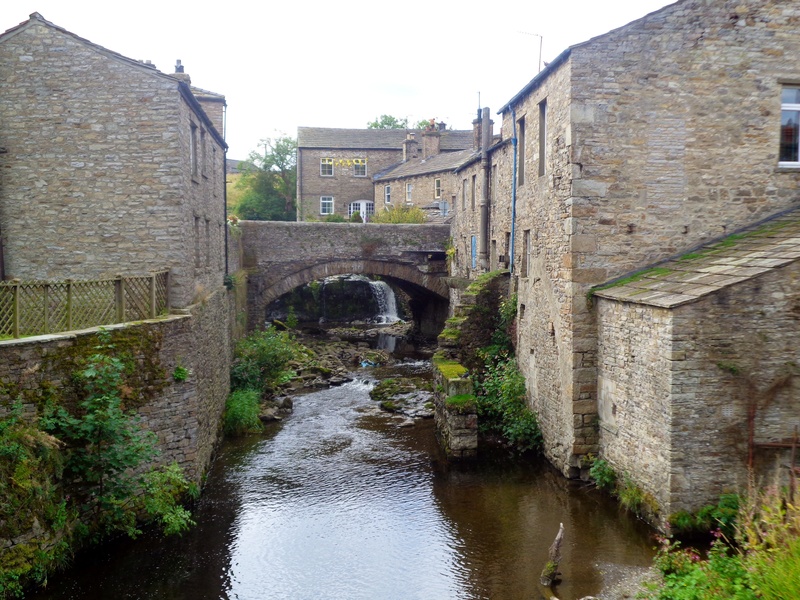 Hawes is in the Yorkshire Dales in Wensleydale. Wensleydale is well known for its lovely cheese. 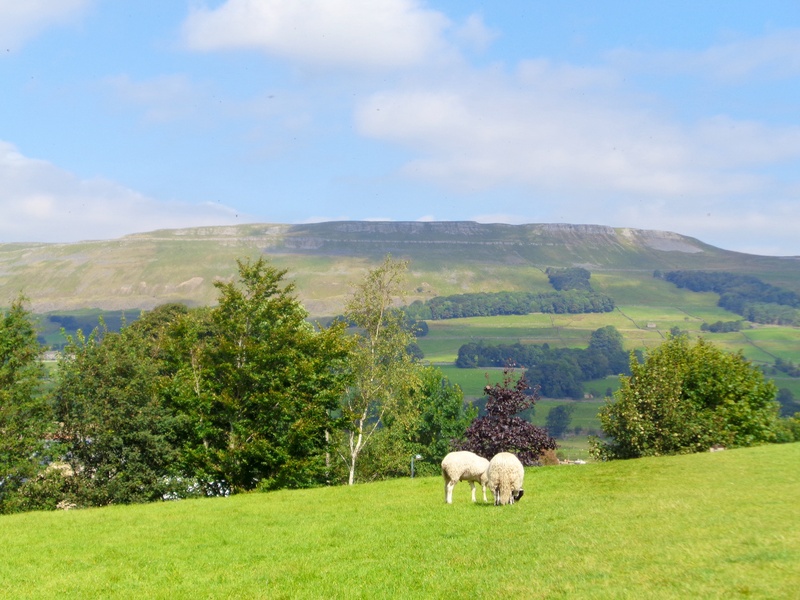 There is a modern creamery in Hawes where you can sample endless cheeses and purchase anything you can think of cheese or sheep related.The picture with sheep is the view from the creamery’s restaurant. i keep trying to get back into a crafty mood but imp not getting very far. 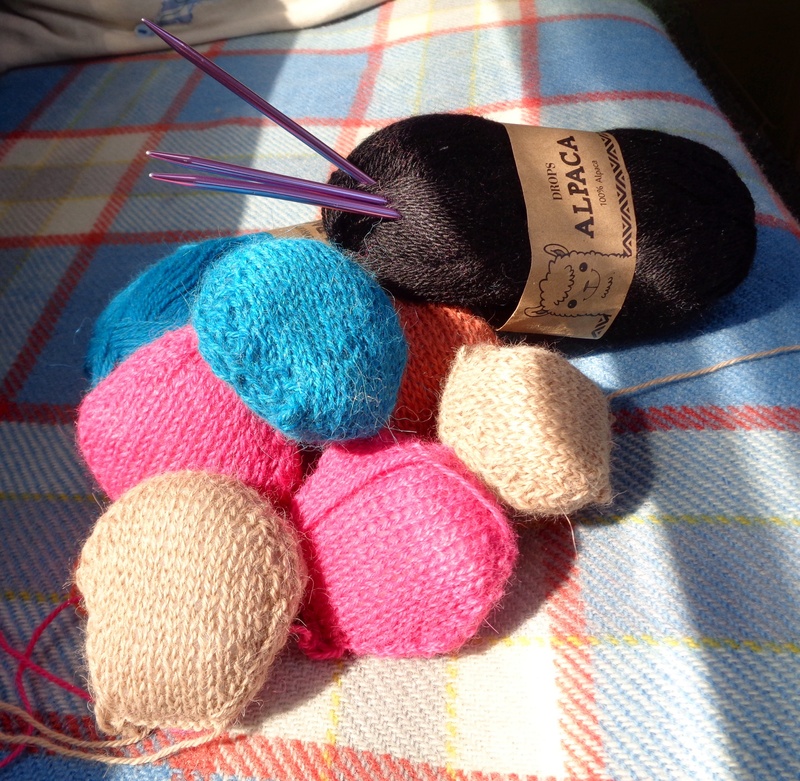 I have managed a few hexipuffs that I have blogged about before. I am using mainly gorgeous% Alpaca yarn from http://www.dropsstudio.com which is yummy luxury. 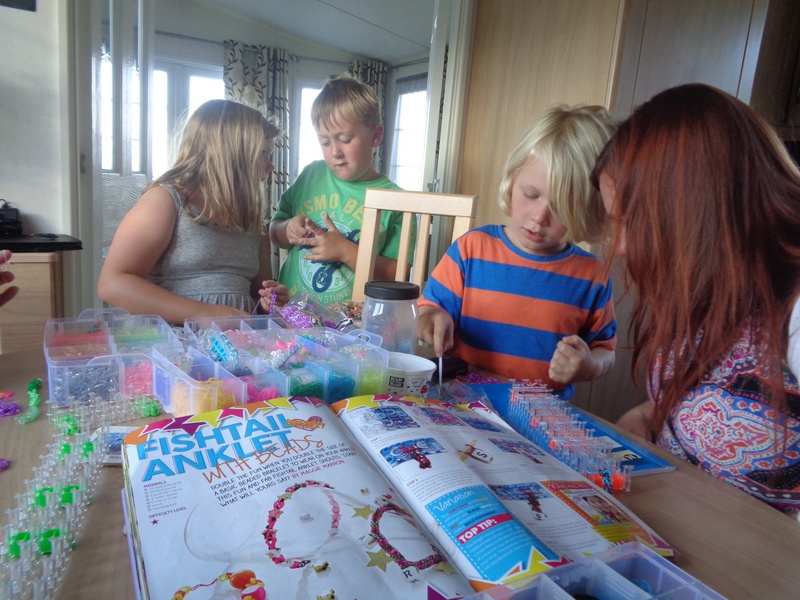 Loom banding is a craze currently sweeping across Britain. 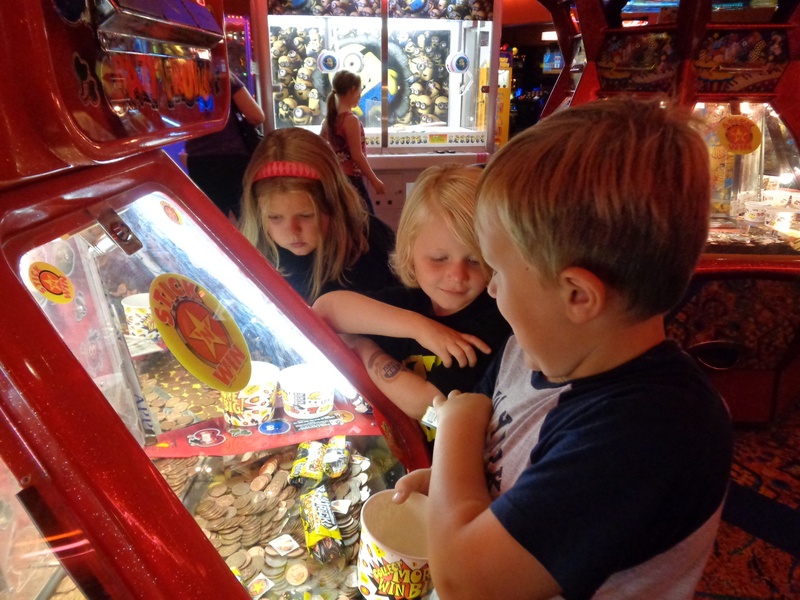 I didn’t realise how popular it is until my Grandchildren turned up from around the UK with boxes of the darn things! We set up a tutorial on the dining room table so that they could teach the adults how to do it. It was great how seriously they took the teaching. They had obviously thought about it and structured the teaching in a very impressive thought through method. 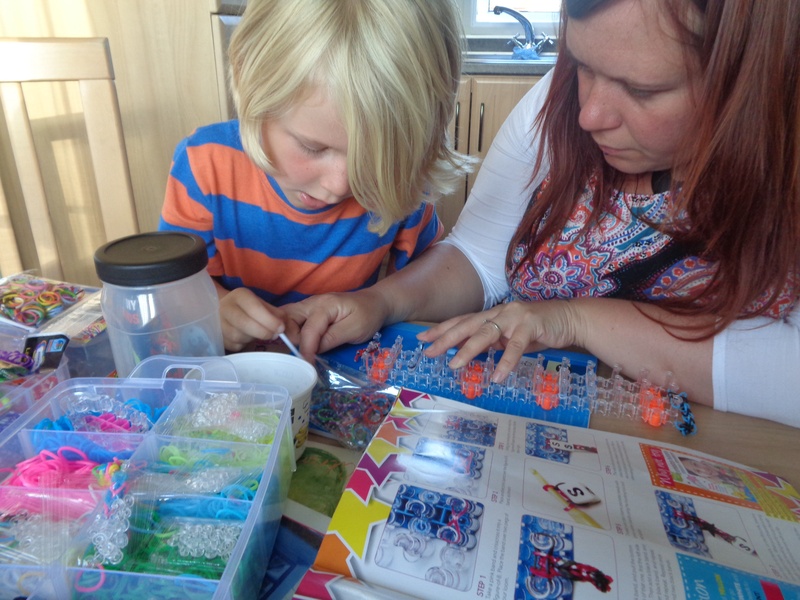 These loom bands are essential coloured or patterned elastic bands. They are either “woven” on the fingers or using a plastic loom. They talked about chains,fishtails and links. 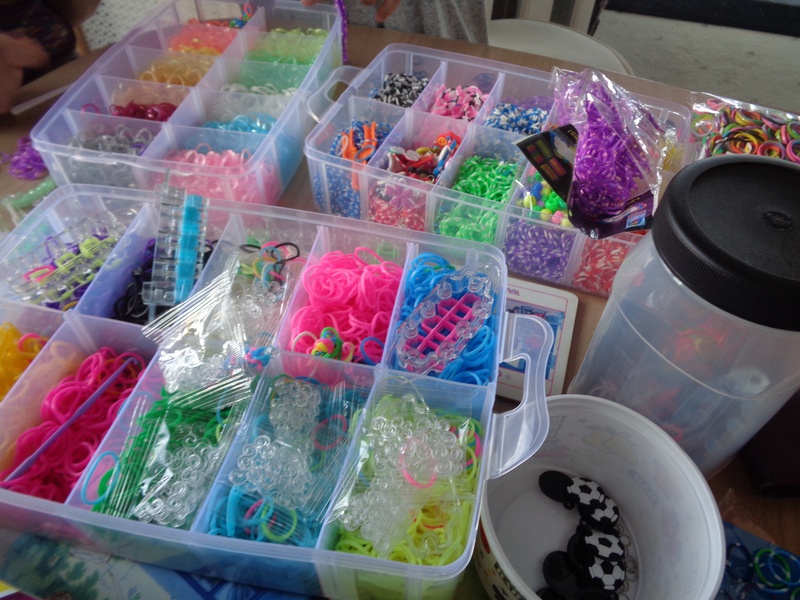 They also bought and swapped bands, clips and plastic charms. It certainly improves their eye hand co ordination and gives the adults some very quiet time. 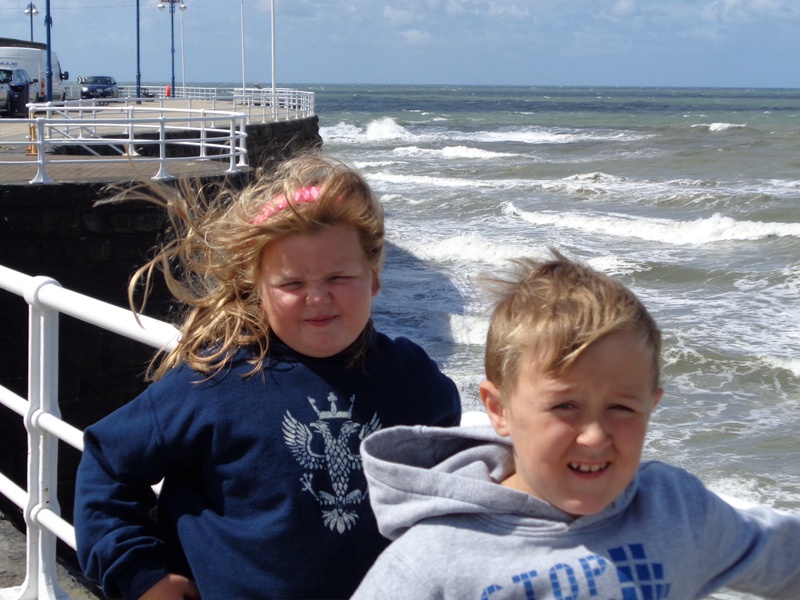 Having all now dispersed around the country to their various homes I am so missing them. However, there are loom bands in the well of my car, down all my seating, in my Hoover and under all the furniture. Fond memories! The best ideas are the simplest! What to do when you pull one of your favorite sweaters from the dryer and it’s covered in those nasty little pills? Or maybe you find the sweater of your dreams at the thrift store but those little fuzz balls have attached themselves everywhere. No need for despair, there is a quick and easy way to get rid of all that dreaded pilling. Just click HERE for the secret to removing all that unsightly pilling to help make your clothes look like new again! 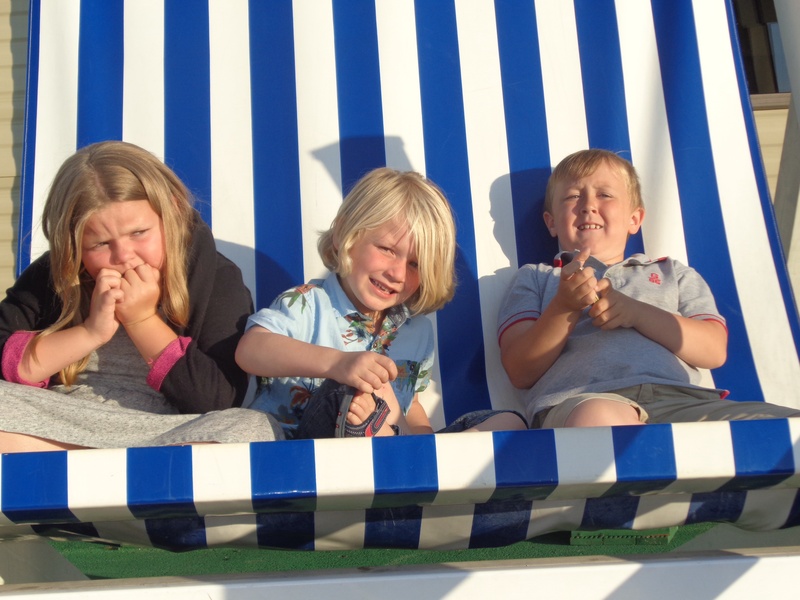 August is the time for sun, sea and sand so I have taken the opportunity to take my three Grandchildren away . 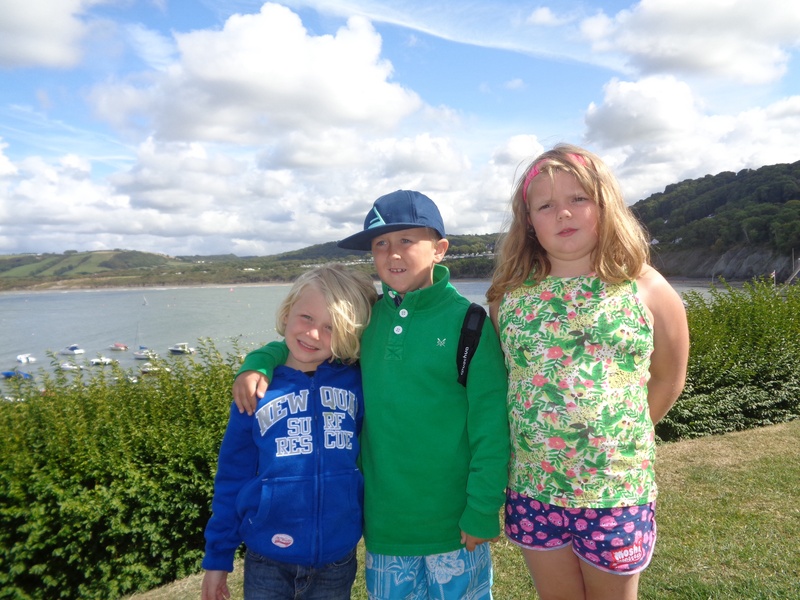 I have rented a caravan by the beach in New Quay Wales and together with my sister and daughter we have three grandchildren a ton of clothes and a shop full of food! 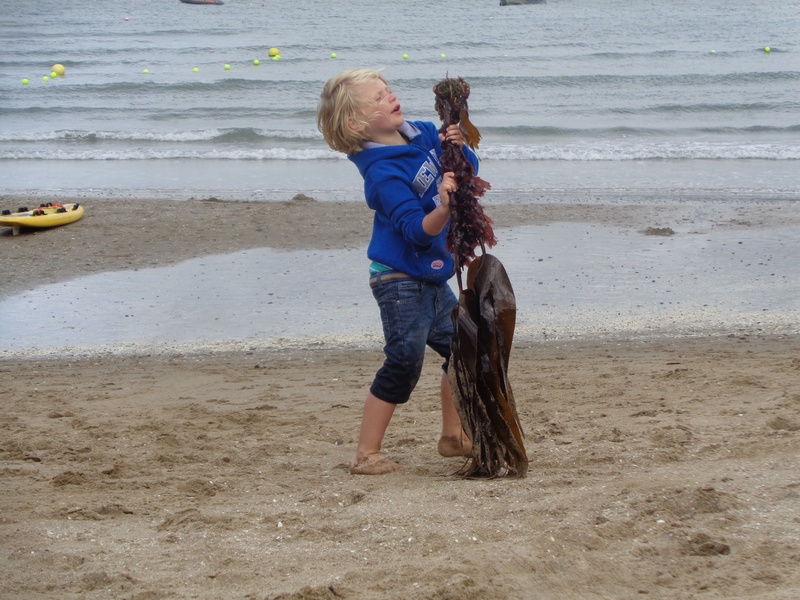 I have dedicated this week to childish delights, food indulgence,beach combing and childish shopping. The children are a delight. the sun is shining and all is good with my World. 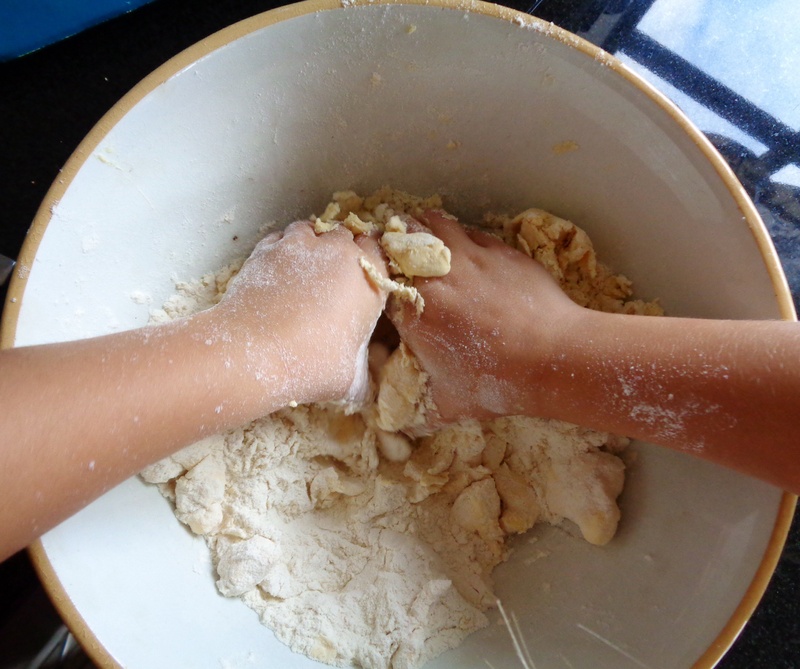 Bread making is so therapeutic, especially when it ends up looking so beautiful. 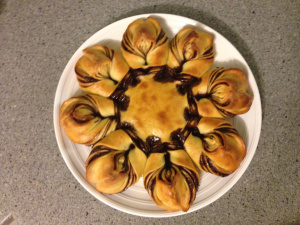 Don’t children just love baking? 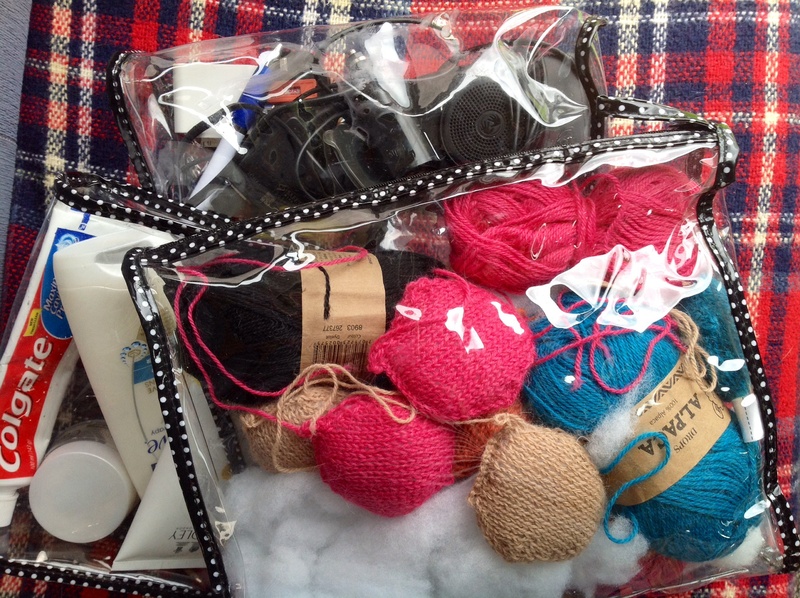 I have had no time to craft, knit, sew or any blogging. This is due to the Summer break, child care commitments and holiday trips. Now I know why so many bloggers take an August blogging break! Today step Grand daughter and I found ourselves home alone. 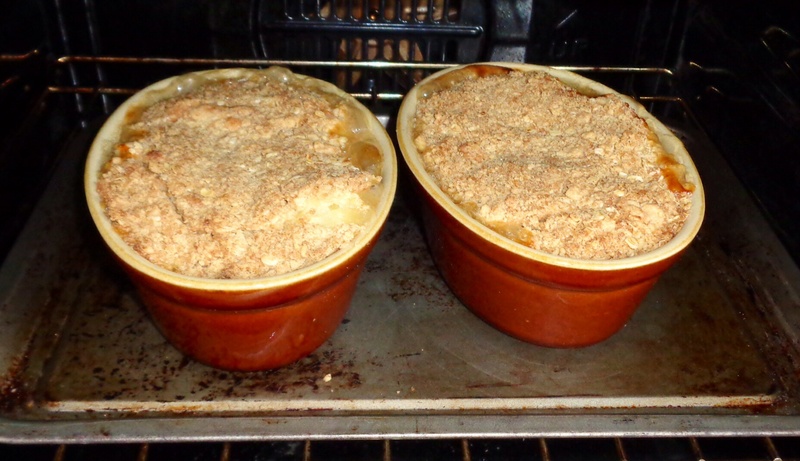 As I had acquired some baking apples we decided to go for the crumble option. 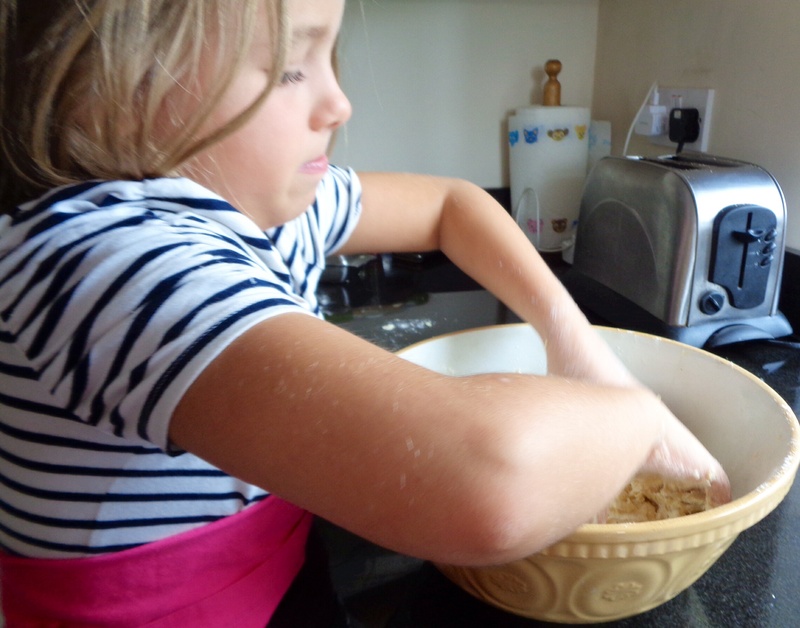 She got her hands in there and we played the “Great British Bake Off.” We made so much crumble the spare went into the freezer.. 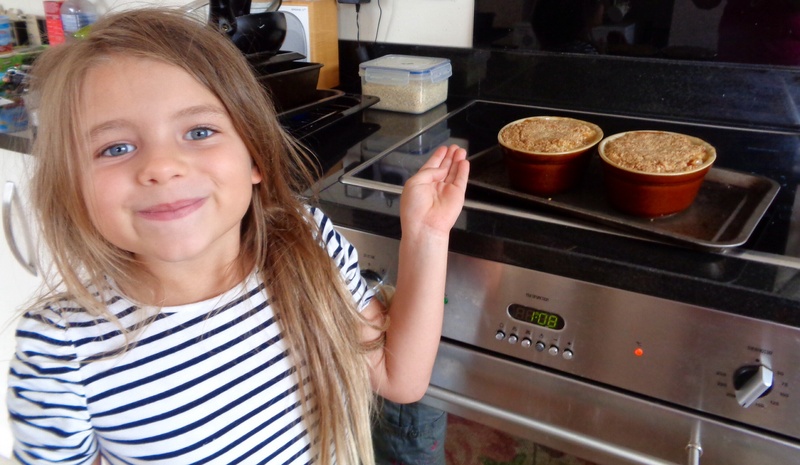 The apple crumble bubbled and turned golden in the oven. (Don’t look at the state of oven I’ve certainly no time to clean it!) The crumble was delicious with ice cream. The kitchen was a happy mess. 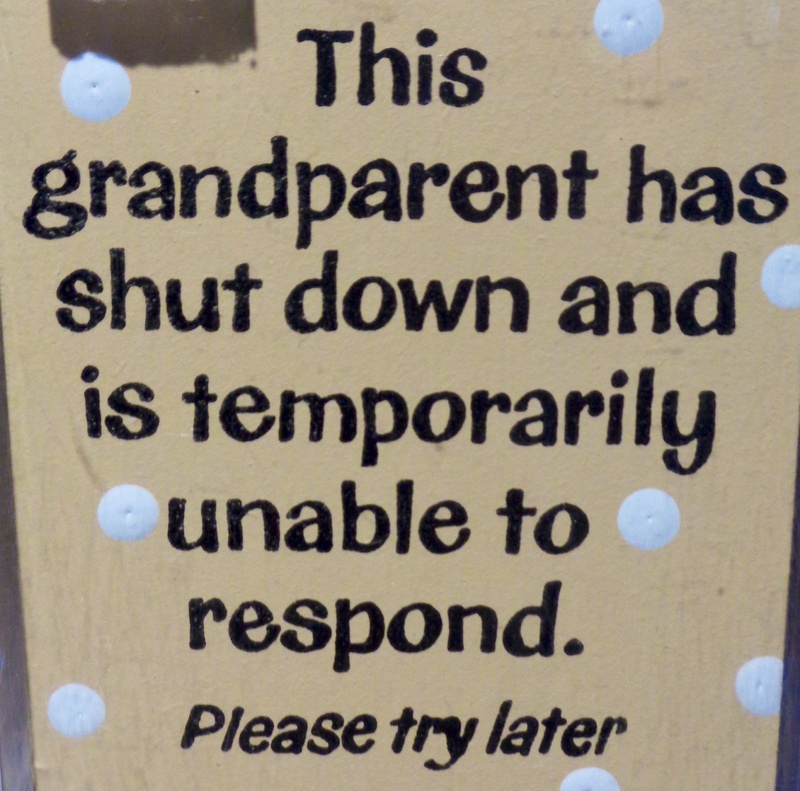 Step Grandchild was fully occupied. Job done!